COMPENSATION for passengers on Northern affected by delays is to be payable after 15 minutes from the end of this year. Northern services have been disrupted since the spring, when the new May timetables proved to be unachievable. Rail minister Jo Johnson is announcing the change today during a visit to a meeting of Transport for the North in Sheffield. It's only the second time that such a change has been introduced during a franchise term, although the government does intend to make 15 minutes the standard as franchises are renewed. The first mid-term change from 30 to 15 minutes was on Govia Thameslink Railway in 2016, after major disruption on Southern had been mainly caused by DOO strikes. Northern is also currently affected by industrial action over train staffing. Further walkouts by RMT members have been scheduled for this Saturday, and again on 22 and 29 September. In related news, Network Rail says punctuality in the north is improving, following joint efforts by NR and train operators, but admits there is ‘still much more to do’. 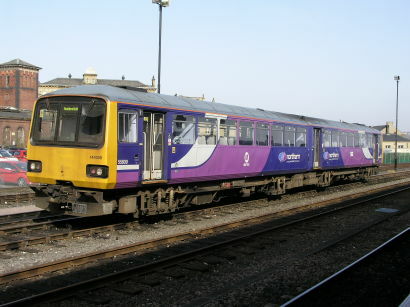 New figures show that in the week following the timetable changes on 21 May, Northern services were achieving an average of 67 per cent punctuality. In the fortnight to 11 September, the figure had improved to 87 per cent. TransPennine Express services were averaging 70 per cent punctuality on 21 May and are now ‘approaching 80 per cent’. Transport minister Jo Johnson said: ‘Passengers deserve a reliable train service, and when things do go wrong it is vital that they are compensated fairly. ‘Extending Delay Repay to cover 15 minute delays is a major boost and we are committed to working with train companies across the network to make it as easy as possible for passengers to claim their rightful compensation. Meanwhile, efforts to get more trains running on time are continuing.